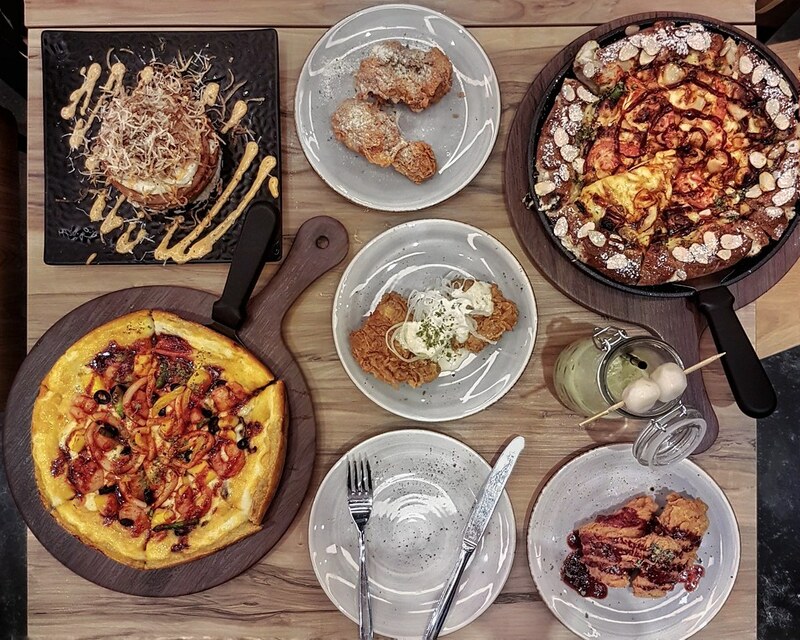 The world's largest Korean pizza chain, Pizza Maru arrives at our shores, offering an impressive selection of their popular Korean pizzas, fried chicken and more. 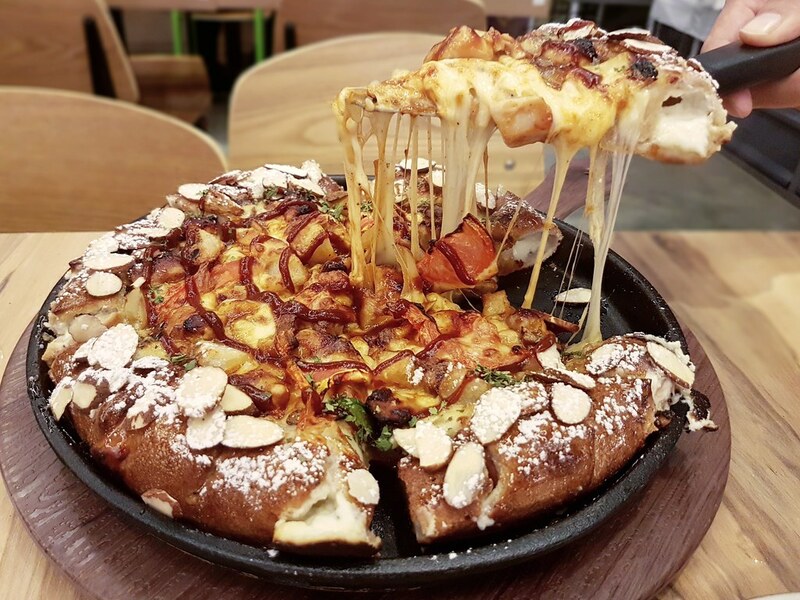 With 530 franchises sprouting around the country, as well as existing branches in the United States, Hong Kong and China, Pizza Maru launches its first Singapore outlet at Northpoint City, the latest shopping-residential development in Yishun where crowds have been steadily thronging the area. Their immense popularity is due to the patented well-being pizza doughs, healthy ingredients and special flavours. Their green-tea wellbeing pizza dough, which is fermented for more than 48 hours with micro-algae chlorella, as well as 12 kinds of natural grains including rye, black rice, barley and oats, making each slice of their pizza a delightfully nutrient-packed one. 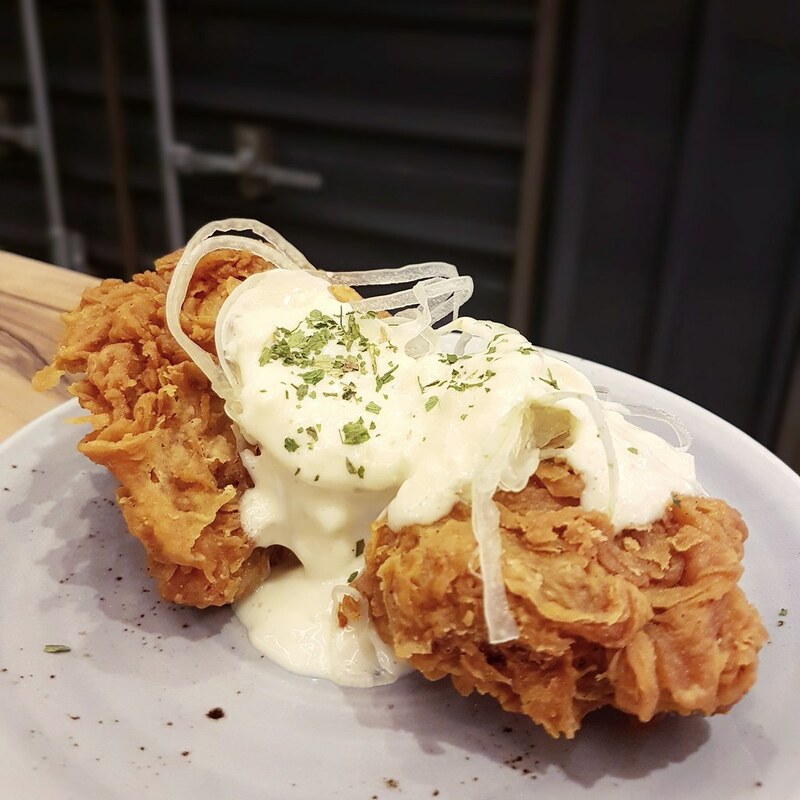 The quality over at the Singapore franchise is maintained as authentic and consistent as possible with flour and most of the ingredients directly imported from Korea as well. Under the Chicago Pizza category, we had the Real BBQ Chicago ($26.80/regular 9”) which features a special thick puffy pizza crust made using fibre-rich, antioxidant-packed black rice dough and stuffed with cream cheese mousse. The pizza is further layered with double mozzarella cheese, string cheese before topping with chicken chunks, roasted onion, mushrooms, tomato, potato, honey, and sprinkled with almond flakes, icing sugar and BBQ sauce. The black rice dough boasts a pillowy soft texture with an addictive chewy bite to it and a cream cheese surprise within. The copious amounts of different cheeses present in the pizza resulted in a pizza slice with so much cheese stretch when a piece is pulled out. While the generous amount of tender and juicy chicken chunks, together with the multiple complements added to the pizza contributed a great medley of rich flavours and textures that elevated the dish to a sublime calibre. Their Black Rice dough pizzas are definitely something not be missed if you’re dining at Pizza Maru. The Mango Ocean ($19.80/regular 9”; $23.80/large 12”) is under the Premium Pizza category which features a pizza crust made using green tea dough. The pizza is layered with mozzarella cheese, before being topped with fresh seafood including the juicy shrimps, scallops, squids, and other complements of mushrooms, mango, broccoli, black olive, pilaf and spicy buldak sauce. 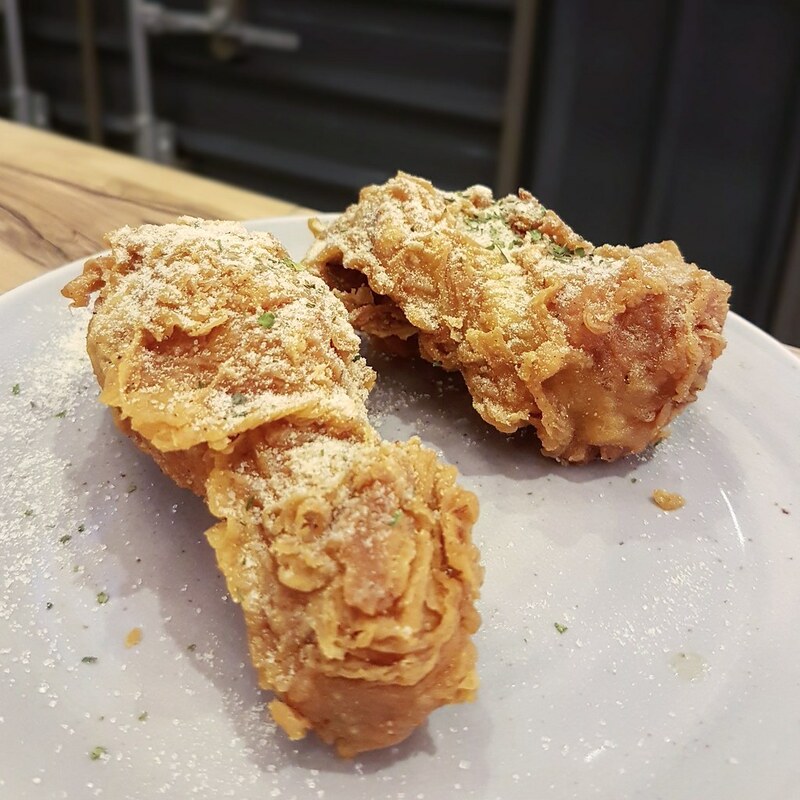 The green tea dough boasts a soft chewy texture with very subtle hints of the green tea flavour which was overwhelmed by the generous blanket of mozzarella cheese and spicy buldak sauce. We were told that the green tea dough used focuses more on the well-being benefits it provides rather than the prominence of the green tea taste itself. 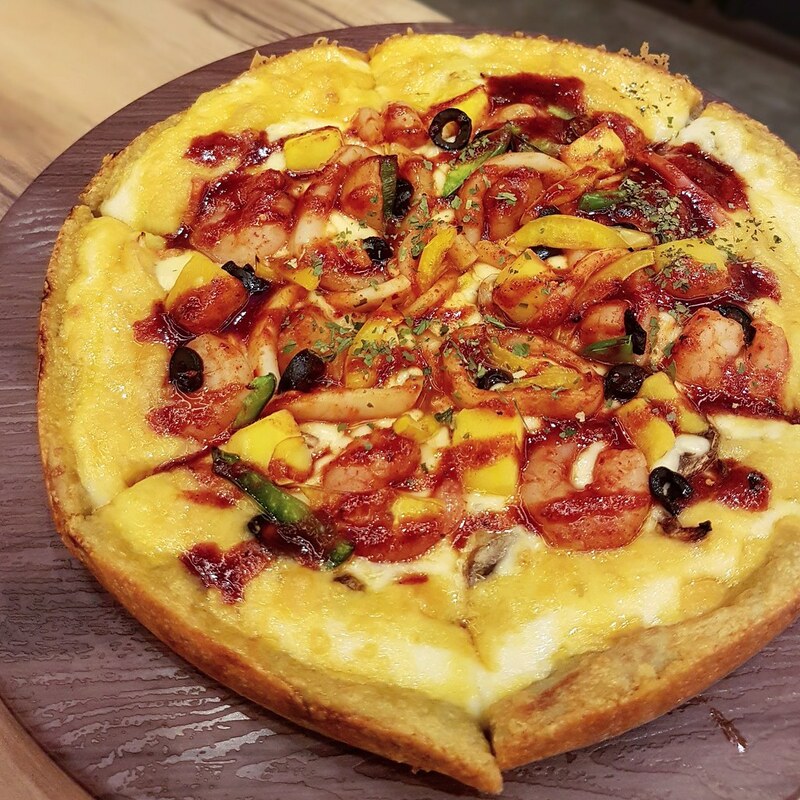 Although mango is not a usual choice for pizzas, the freshness and juiciness of the sweet mango cubes added complement the assortment of savoury seafood well, rendering an execution excellence with a perfect sweet-savoury balance and additional spicy notes from the spicy buldak sauce. A deconstructed approach to the usual bibimbap rice bowls, the Spam Tower ($12.80) comes in a bibimbap tower of chicken spam slice, generous amounts of fried kimchi, bell pepper, onion, cabbage, mushroom, egg and seaweed on a bed of fragrant rice, before being sprinkled with heaps of potato crisps, parmesan cheese and drizzled with siracha sauce. 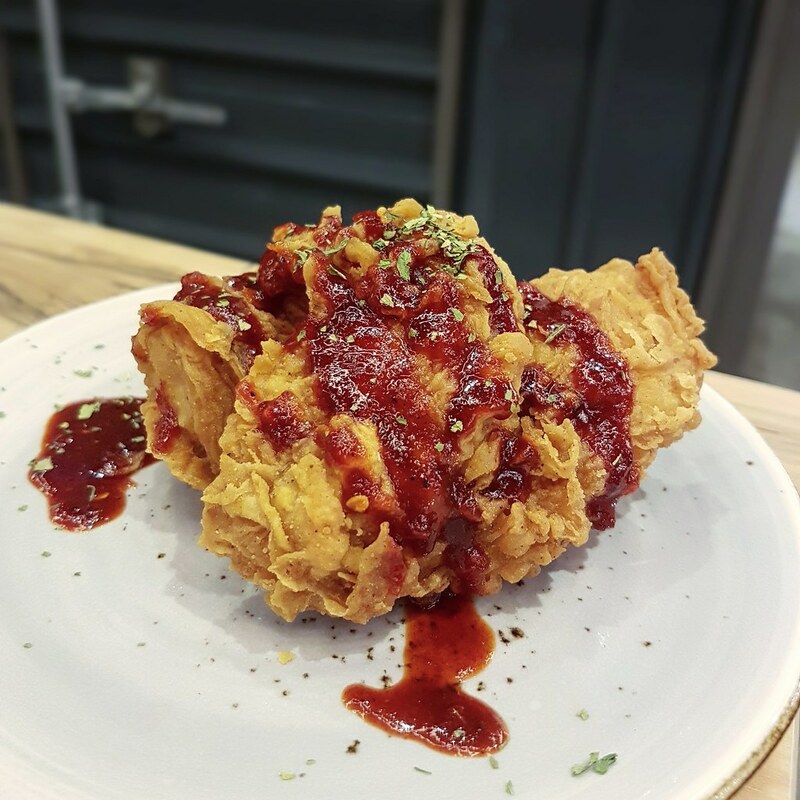 The crispy potato crisps complement the tenderness of the chicken spam, softness of the well-seasoned fried kimchi and crunchiness of the other complements perfectly, as sharp spicy accents of the siracha sauce kick in between the medley of ingredients. 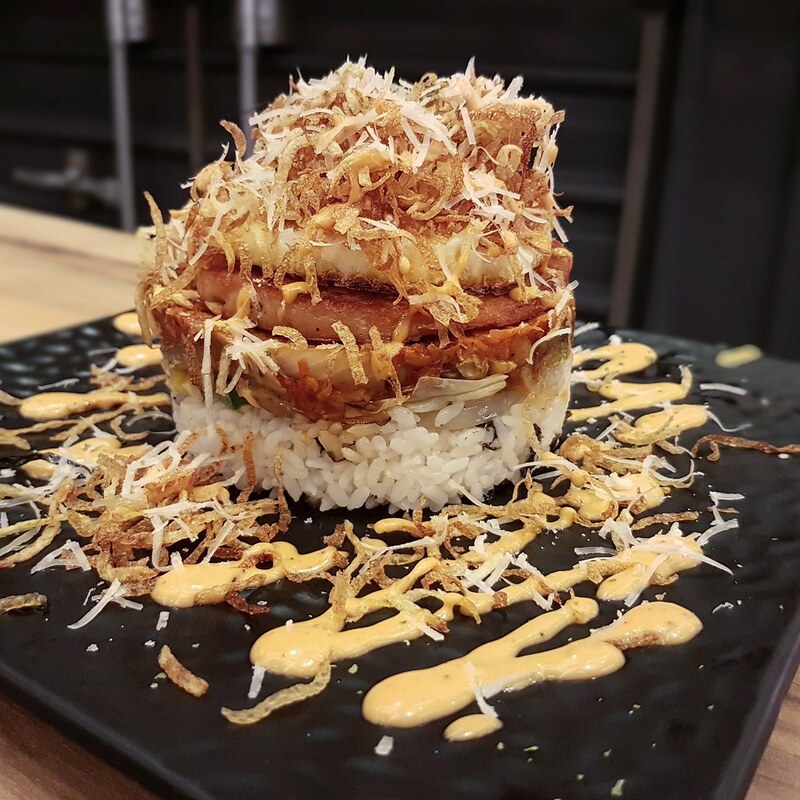 The Spam Tower embodies the korean style with finesse, blending the well-thought interplay of flavour and textural variations within the dish immaculately. 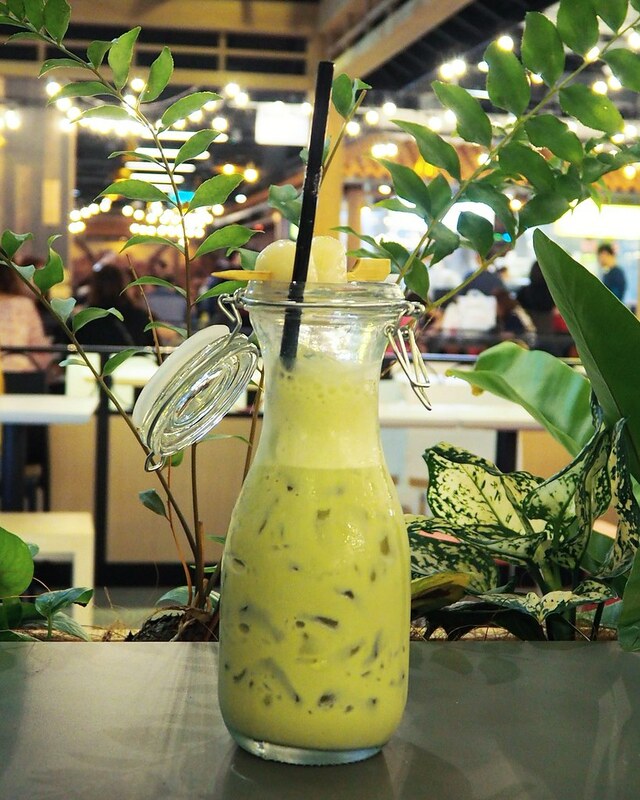 The Nok Cha Latte ($6.90) comes in a glass of milky matcha latte perfumed with a rich matcha taste which has a good bitter-sweet balance that I really enjoyed. The two dango balls on a stick sitting atop the drink has a soft chewy mochi-like texture, albeit rather tasteless. 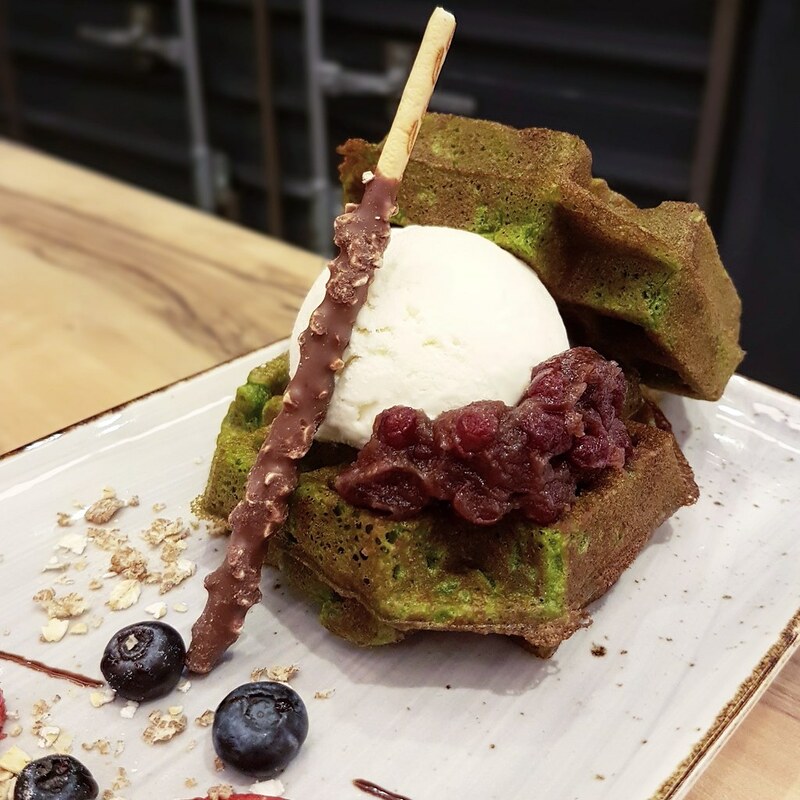 The Nok Cha Waffle Ice Cream ($11.90) features matcha flavoured waffles with a fluffy interior and slightly crispy exterior. A distinct matcha taste with a bitter undertone, the waffles also came with azuki beans and a scoop of vanilla ice cream. However, a choice of the matcha flavoured ice cream would be a better option to further accentuate the green tea flavour of the dessert. 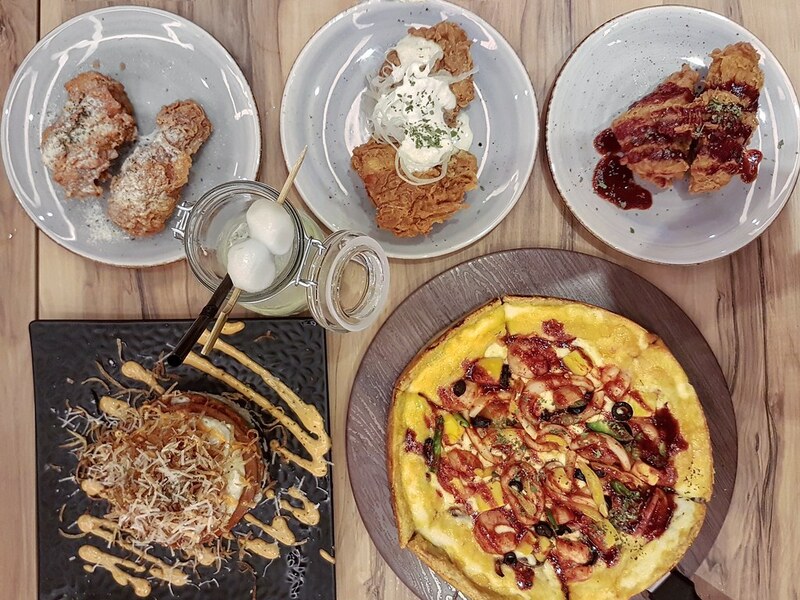 The latest entrant from Korea, Pizza Maru is set to take Singapore by storm with their award-winning pizzas and fried chicken. With the first outlet already seeing long lines of diners at meal times, there are plans going well under way to launch more outlets somewhere with a more central location this year. Note: Pizza Maru is pork-free, lard-free and is currently applying for Halal certification.